We want this to be a long-term hire. We’re a big family. Family owned and operated for 90 years. Multiple staff with tenure up to 40 years, 30 years, 20 years. 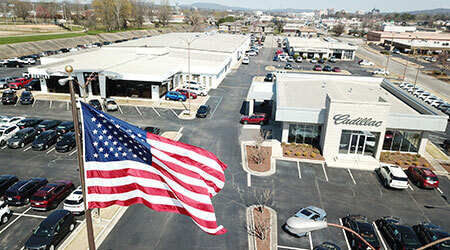 Started in Huntsville in 1928 as an automotive repair shop. 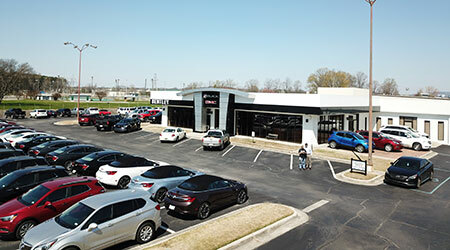 5 generations later, we have two dealerships in Huntsville selling Buick, GMC, Cadillac, Hyundai and Genesis, and one in Florence, AL selling Chevrolet and Cadillac. Paid Training Promotions from Within! Rich Pomnitz is the highest-rated World-Class GM-Certified Technician in our 12-state zone, and the 8th highest on the planet. He did not arrive here as a World-Class technician. Joey Johnson arrived with a lower rank than Rich, and he just received World-Class GM Certification. Bobby Farrell started working for Phil Bentley 40 years pumping gas at a service station the family owned. Today Bobby is the shop foreman at Bentley Buick GMC Cadillac. We participate in the following volunteer programs: Buick Drive For Your Students (Creates donations to local school budgets), Free2Teach (Creates donations to fund local teacher resources), and KidsSafe – Promotes Safety and Security for community children.